Sesame seeds are the most precious of oil seeds, especially to prevent osteoporosis. Among their properties, they help reduce cholesterol and promote digestion and more. Here are all the benefits of sesame seeds! Sesame seeds are rich in nutrients and they are the most precious of oil seeds thanks to the high content of mineral salts, carbohydrates and proteins. Currently, sesame is cultivated in Burma, China and India, while in Europe it is cultivated mainly in Greece and Southern Italy. We can distinguish three main species of sesame seeds: white, black and reddish; white ones are the most easily available but the nutritive properties are quite similar. Sesame seeds have many healthy properties: they help to prevent osteoporosis, cardiovascular diseases and not only: as pumpkin seeds, for example, they help to lower cholesterol. But let's find out more about the properties of these oil seeds benefits. From a nutritional point of view, sesame seeds are one of the main vegetable sources of calcium, but they also contain phosphorus, magnesium, calcium, zinc, selenium and a good quantity of proteins. 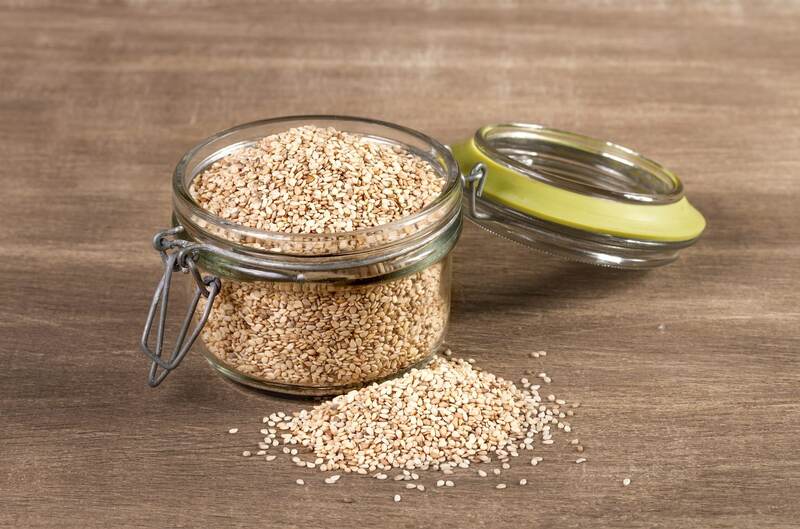 Sesame seeds help to strengthen bones: sesame seeds contain a lot of calcium and are therefore effective in preventing osteoporosis especially during the menopause, such as sunflower seeds that also help produce collagen making the bones more elastic. Sesame seeds are therefore a good alternative to dairy products for those suffering from food intolerances, useful for strengthening teeth and bones. 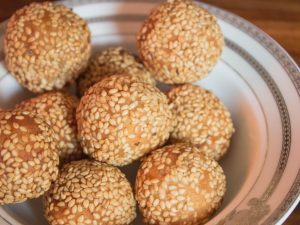 Sesame seeds reduce cholesterol: thanks to the content of folic acid and vitamins of group B, sesame seeds bring the organism oleic acid and linoleic acid that help to control bad cholesterol (LDL) by increasing the levels of good cholesterol (HDL). 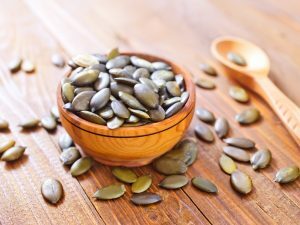 They are also a panacea for the cardiovascular system as pumpkin seeds, thanks to the presence of lignans that monitor blood pressure. Sesame seeds fight constipation and protect the liver: sesame seeds help to fight constipation as they are rich in fiber, as well as chia seeds, thus helping to regain intestinal regularity and reduce abdominal swelling, if taken in the right doses: no more than a handful a day. Thanks to sesamin, sesame seeds are also a valuable ally of the liver: this important element protects the liver tissue from free radicals that accumulate during metabolism, thanks to their antioxidant action. Sesame seeds promote digestion: the dietary fibers contained in sesame seeds bring benefits to the digestive system: thanks to the mucilage they promote digestion. Its leaves, however, are used to treat some stomach-related problems, especially in case of gastrointestinal irritation. Sesame seeds are antioxidants and anticancer: sesame seeds, thanks to the content of selenium, have an antioxidant action as they help to counteract the damaging action of free radicals. In this way they also protect the body from the development of colon cancer, thanks also to phytic acid. Sesame seeds strengthen the immune system and promote the development of children: thanks to the zinc content, sesame seeds help to strengthen the immune system in a natural way, as well as flax seeds. Sesame seeds are often also recommended as dietary supplements in children's diet because they favor growth and are excellent energizers, but anyway they should not be taken before the age of two. Sesame seeds are excellent in the case of hypertension: the lignans contained in sesame seeds perform an anti-hypertensive action, thus helping to keep blood pressure under control. 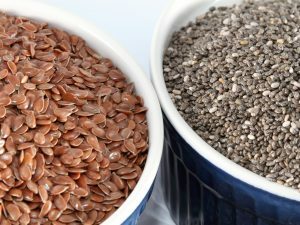 Eating these precious seeds also helps to prevent the formation of plaques on the arteries walls. Sesame seeds improve blood circulation and therefore prevent hair loss: sesame seeds help to improve blood circulation and this characteristic, combined with zinc and protein, helps to bring benefits to the hair preventing its fall: it is therefore useful in cases of baldness. Sesame seeds are added to muesli along with dried fruit and other oil seeds, but they are also used to enrich salads and soups. 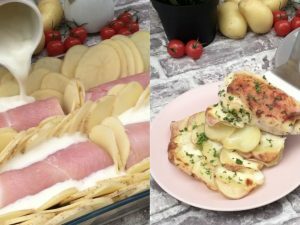 They are also often incorporated into the dough for the preparation of bread, crackers and breadsticks. 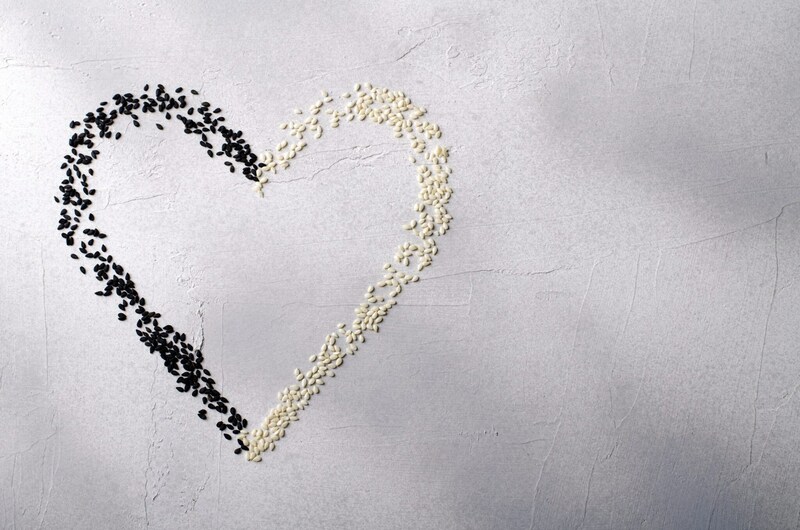 Sesame seeds are also perfect for making delicious breading for chicken and vegetables, instead of breadcrumbs. Toasted sesame seeds combined with sea salt become gomasio: a powdered ingredient that can be used as a salt substitute. Sesame seeds are also used in the preparation of miso soup or to obtain tahini, a traditional sauce of Turkish cuisine. 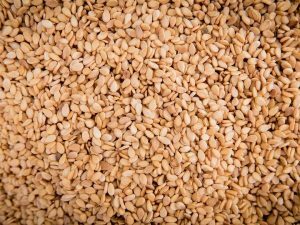 Sesame seeds can also be found at supermarket, but the best quality seeds can be bought in herbalist stores or in organic food stores. White sesame seeds are the most easily available, while it may be more difficult to find black ones, that are more common in Eastern countries. Sesame seeds are composed of particularly delicate oils that can become rancid. It is therefore advisable to store them in a cool and dry place, away from direct light, preferably in a hermetically sealed glass jar. In this way, you can preserve them for a few months. To take advantage of the healthy properties of sesame seeds it is enough to consume a handful a day without ever exceeding, as they can turn out to be a food that facilitates weight gain. Sesame seeds can also cause allergies or intolerances in predisposed subjects, so they are not recommended for children under two years. In addition, sesame seeds should not be overcooked, because they may be carcinogenic: if you want to toast them, you should just heat them slightly. Excessive use of sesame seeds oil could also cause dysentery as it contains sorbitol, a powerful natural laxative.